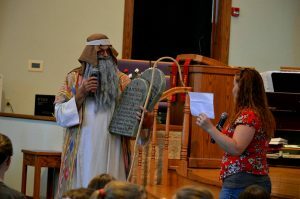 Vacation Bible School 2019: God Invites YOU! Join us for VBS 2019 with the theme God Invites YOU! We will explore stories where God encourages us to shine our light in the world, care for our neighbors near and far, and stretch out the invitation to include all in God’s party! Registration is open! Fill out the form below or call the church office (920-553-1222) with questions. Monday through Thursday will be days of fun and learning. Daily activities will include crafts, music, games, storytime, and other activities. 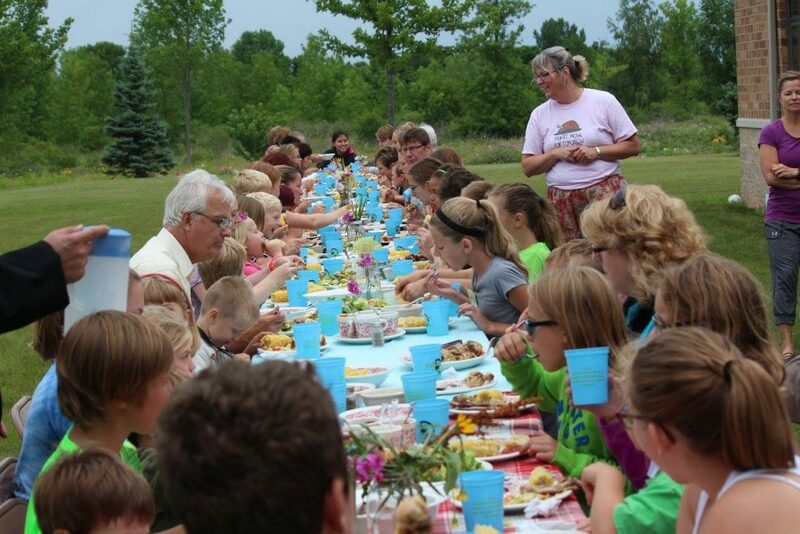 Children will be fed supper and a snack/dessert. Vacation Bible School is open to all children in our wider community (you do not need to be a church member to attend), and it is free for all families. There will be opportunities to donate food or supplies for the week. Children age 3 years and older are welcome. Youth 6th grade and up are encouraged to come as helpers. Adult and youth volunteers are needed to serve in a variety of roles, including: help with prep work before VBS; teach in one of the classrooms (the same material will be taught multiple times over the evening); be a family leader (an adult who leads our children from one activity to the next–no lesson plans to prepare); help with game-time activities; work in the kitchen; help in the craft area, assisting children with the day’s project; be a shepherd (circulating among the activities to insure a safe atmosphere); be an actor or puppeteer at opening time or closing worship; do some car-control at the end of each day so we can have our closing worship on the lawn in front of the crosses.